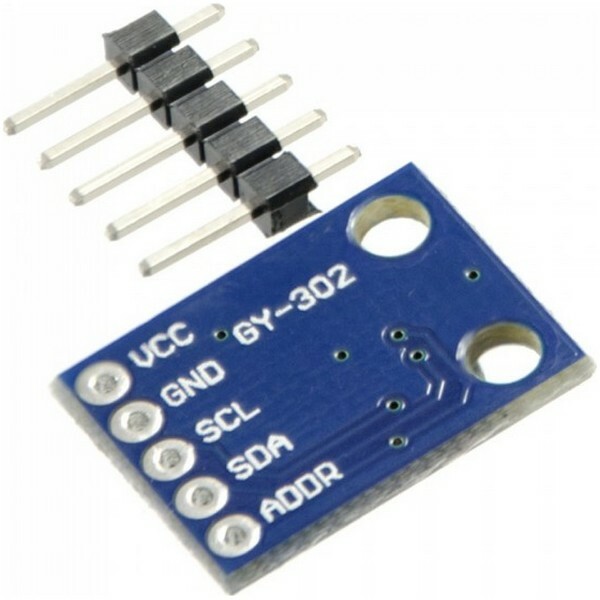 GY-302 Digital Light Intensity Sensor Module is a sensor module based on the BH1750 light sensor. BH1750 is a digital Ambient Light Sensor IC with an I2C bus interface. The module provides simple digital value via I2C so you don’t have to use any external components like AD converters.